current trends in the US toys, games, and baby products sector at the fair on October 19, 2017. Please contact Veronika.Novakova@trade.gov for more information. 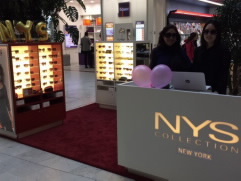 Representative of the US Commercial Service Prague was present at the show. Please contact Veronika.Novakova@trade.gov for more information. Representative of the US Commercial Service Prague was present at the show. For more information, please contact Veronika.Novakova@trade.gov. The Czech Republic had a booth at the BIO Convention. You can find a catalog of the Czech companies HERE. On Monday, June 26, U.S. Embassy Prague Commercial Counselor Helen Peterson, Commercial Specialist (CS) Luda Taylor and CzechInvest representative Eva Bartonova visited Technology Center Pisek (TCP) to learn about the city of Pisek Smart Cities platform that includes Cloud Services and the Internet of Things (IOT) technologies. TCP, an leading-edge Czech advanced technology center, supports innovation and regional economic and technology development through co-operation with the public and private sectors. 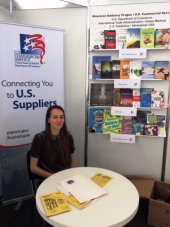 Commercial Service (CS) Prague introduced American publishers to the Czech market at Book World Prague 2017. The U.S. companies are seeking Czech partners interested in publishing the American books in the Czech language. Representatives from CS Prague were available at the Fair’s Business Center for business discussions. Learn more about the publications HERE. The U.S. Embassy Prague Commercial Service was at Hannover Messe to introduce American companies to Czech partners. The world’s largest trade show focusing on industrial equipment, the fair had more than 6,000 exhibitors and 220,000 visitors (70,000 from outside Germany), meeting in 26 halls. Hannover Messe offered a unique opportunity to establish contacts with American partners across a range of industries. 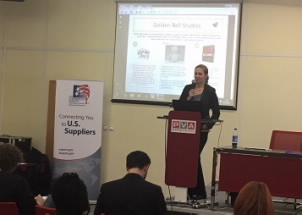 U.S. companies were looking for distributors and agents as well as research and technology (R&T) partners for the Czech market. Czech companies interested in setting up operations and investing in the U.S. could have also found the resources needed for their business expansion. Research and Technology (R&T) Cooperation: Hannover Messe 2017 had a special focus on innovation and high-tech. Leading American R&D laboratory and university exhibitors were interested in finding R&T partners. SelectUSA Invest in the U.S. Program: SelectUSA is the U.S. Government initiative that promotes and facilitates business investment into the United States. Representatives from SelectUSA and state level investment promotion agencies will be at Hannover Messe to answer investors’ questions and provide advice and information on investing in America. Interested investors should also consider attending the SelectUSA Investment Summit in Washington DC on June 18-20, 2017. The “Doing Business in the USA: Focus State: Texas” seminar, for Czech businesses, was held on March 28, 2017. 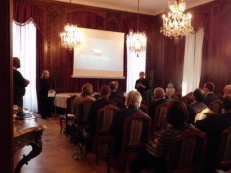 The seminar included presentations on business methods and trends in the Czech Republic and the U.S. Investing in the U.S. was a featured topic and highlighted the high-profile SelectUSA Investment Summit that will be held from June 18-20, 2017 in Washington D.C. 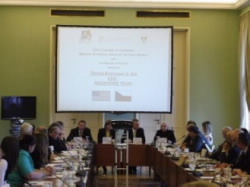 The Ministry of Foreign Affairs, the Czech Chamber of Commerce, the Ministry of Industry and Trade and U.S. Embassy Prague co-organized the seminar.